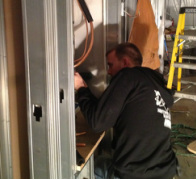 Doug's Heating and Air, Inc. specializing in residential heating and cooling since 1985. 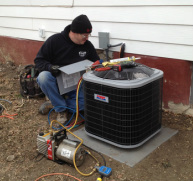 Doug's Heating & Air provides quality service and new equipment replacement in Salina, Abilene and surrounding areas. 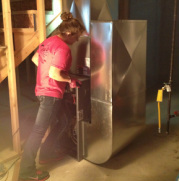 We continue to fabricate custom duct work which allows us to replace or retro-fit your present heating, cooling or heat pump system or customize the HVAC in your new home. 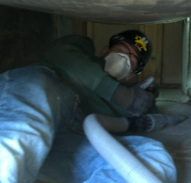 We install new furnaces, air conditioners, heat pumps, and complete systems with custom duct work. We also can provide you with the comfort accessories you need in your home, humidifiers, programmable thermostats, and zone controls. Your home comfort is a priority to us. system with our maintenance plans in the spring and fall.